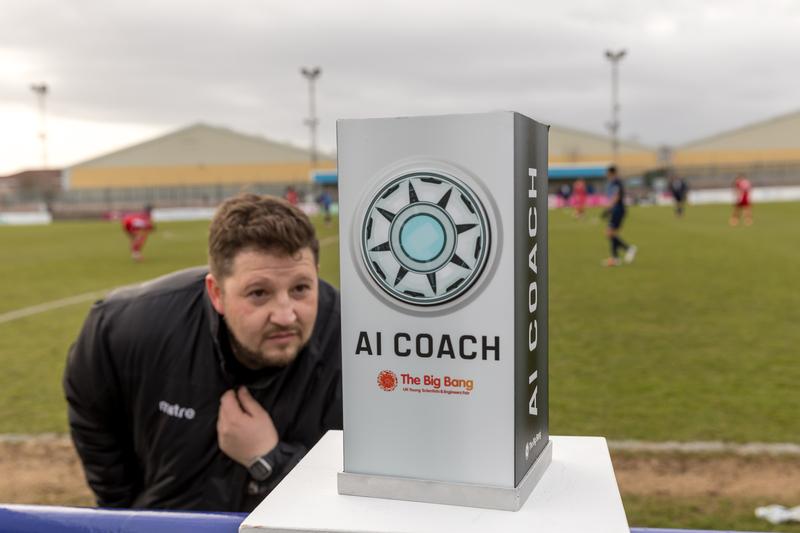 Earlier in the year, the north London side announced their decision to use the Amazon Echo system, and it debuted in the relegation clash against Whitehawk FC. And with the home side snatching a point with a late goal in the seventh tier fixture, the technology managed to make an unbeaten start. YESSSSS!!! A cross from @ReeceRichards10 is blocked and falls to Njie who hammers home to equalise. 1-1! The AI is the result of a partnership between the club and The Big Bang Fair to inspire more young people to consider careers in science, technology, engineering and maths (Stem). It was provided with information on Wingate and Finchley’s players as well as their opposition ahead of the game, and as a result recommended a 4-3-3 formation. The technology, which is designed to evolve its thinking over the course of the season, has been assisting on the training ground and was also present in the dugout during the match. Interim manager Dave Norman said ahead of the match that it will be up to the humans to decide whether or not to take the AI’s advice, but seemed pleased with the results after its first outing. Wingate and Finchley currently sit just four points above the bottom-placed side in the division, but crucially have a couple of games in hand. Could technology save them from relegation?